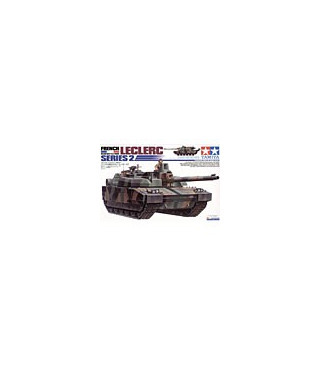 This year's Big Item in the static models category has got to be the Leclerc French Main Battle Tank. This deluxe model is based on reference materials obtained from the French military by Tamiya's French designer, giving us a truly privileged opportunity to add this unique model to our 1/35 modern battle tank selection. * 1/35 scale model accurately reproduces the Leclerc's distinctive modular armor. * High precision molding faithfully depicts the Leclerc Series 2's complex structure even down to the smallest details like smoke dischargers and commander's cupola. 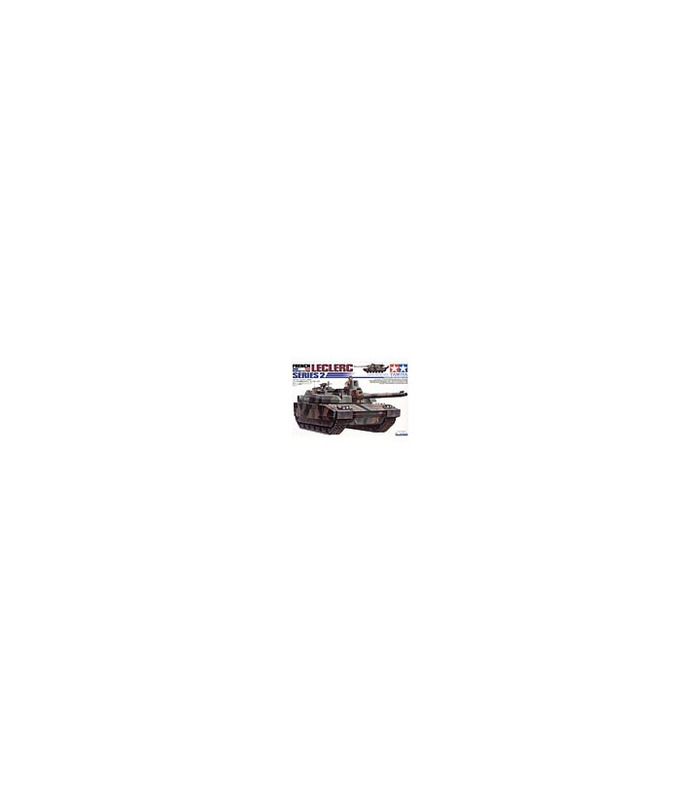 * First model to feature die-cast road wheels, for realistic weight and tank-like solidity. * Impressively depicts 120mm cannon with thermal sleeve. * Commander's sight can rotate and has lenses made from clear parts. * Comes with clear parts for head and tail lights. * Includes 4 types of markings and 1 commander figure.